Would you like to learn more about the cool new features in Office 2010 and Windows 7 and what has changed since previous versions? Do you use Microsoft Office but would like to learn tips and tricks to be more productive at home, school or at work? Perhaps you are a new user who has questions on how to get started with Windows 7 or using the Office ribbon? Or would like to learn how to protect your computer from malware and viruses. Or perhaps you are just stuck and need answers. The Microsoft Most Valuable Professionals (MVPs) are here to help! The MVPs are the same people you see in the technical community as authors, trainers, user groups leaders and answerers in the Microsoft forums. For the first time ever we have brought these experts together as a collective group to answer your questions live. MVPs will be on hand to take questions about Microsoft Office 2010 or Office 2007 products such as Word, Excel, PowerPoint, Outlook, Access, Project, OneNote and more. As well as the Windows 7 and earlier versions such as Windows Vista. In addition to Microsoft Office, the chat will cover Windows related topics such as upgrading, setup and installation, securing your PC, Internet Explorer, personalizing your computer desktop or having fun with Windows Live Essentials to share photos, make movies and more. All levels of experience are welcome from beginners and students to intermediate power users. Please join us for this informative Q&A style chat and bring on your basic and your tough questions! Windows Live Essentials 2011 RTW is Here! Microsoft announced today on the Windows Team Blog that the final release of Windows Live Essentials 2011, a suite of cool programs and services for photos, videos, instant messaging, blogging and syncing has been finalized. This new release is focused on heavy integration with the new Windows 7, you can access key functionality when you pin apps in the suite on your Taskbar, such as Jump List for quickly accessing common task and functionality. We are pleased to announce that Windows Live Essentials 2011 for Windows 7 and Windows Vista is now available for download! (Releasing in 48 languages over the next few hours, so if your language is not yet available, it will be very soon.) Windows Live Essentials 2011 was designed and built to connect your PC to the services you use every day. I have been using the suite since the first beta was released back in June and I love the tight integration across programs and services. There is also better synergy and consistency with Windows 7, more applications such as the new Windows Live Photo Gallery and Windows Live Mail now utilize the Scenic Ribbon. Microsoft finally settled down on one synchronization technology, named Windows Live Mesh, this handy service will allow you to sync files between PC’s and even Mac’s. I personally love the new Windows Live Messenger, its more dynamic and integrated with popular social networking platforms I use everyday such as Facebook and LinkedIn, I can chat with friends on these networks right from within Messenger too. The integration with popular online services is the biggest highlight of this release, the content that you are able to easily create in these programs can be just as easily shared online with family, friends or millions of users world wide. Definitely a worthy upgrade and its FREE! But the beginning of a new one. Six years ago, I entered the world of blogging full time. Prior to that I had dabbled a bit but was put off by my early experience using Blogger which is now owned by Google. Initially called MSN Spaces, Windows Live Spaces which initially started out as a beta was an instant hit for me and I immediately jumped on it because I was interested in having a place on the Internet where I could express my views and share my experiences. In addition to that, I wanted a service that made it easy to do so. I remember starting out with everyday random thoughts or talking about everyday experiences. Over time my love of technology crept in and invigorated by blogging experience, at the time Microsoft was planning the next version of Windows, at the time code named ‘Longhorn’ which eventually became Windows Vista. I decided to focus on this particular release like so many others did at the time and it eventually help to galvanize my love for blogging over the years. Here is a screenshot of my blog back in 2004. 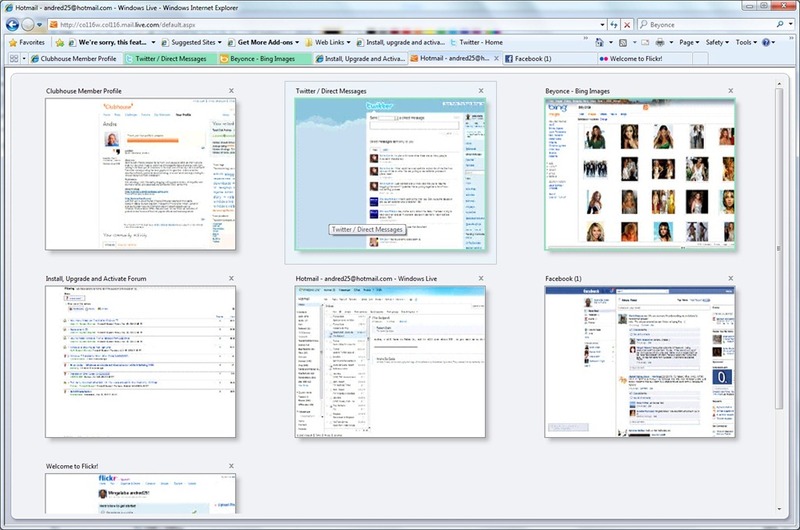 MSN Spaces December 2004 to September 27, 2010. This is a bitter sweet ending for me, I am of course relieved that my years of investment in the service will not just wither away. I am most appreciative of this. I had the chance of familiarizing with WordPress a bit since I also blog at Notebooks.com so the transition should be fairly easy for me. Today Microsoft introduced us to a new experience, a new way of enjoying the web, the beauty of it specifically. The web browser has changed dramatically over the past 15 years, it has moved from this niche thing that was once a second class citizen to activities such as Word processors, spreadsheets to a driving force of computing. The significant quantity of my time is spent in the browser these days, whether its e-mail, social networking, watching videos, consuming information or productivity using services such as Office Web Apps. The Web browser has become a jack of all trades and its defining computing for us as we spend more time online. This means the user experience is critical, particularly navigation, performance and presentation. Microsoft’s competitors in the web browser market have been continuously innovating over the past 3 years. Firefox 1.0 which was launched in 2004 focused on providing a secure, simple experience. Google Chrome launched in September 2008 focused primarily on simplicity and performance. Both are continually improving their respective browsers with frequent updates. Internet Explorer has remained strong, but Microsoft realizes that the pace of innovation needs to be revamped. I recently noted some of the significant improvements that have been introduced over the past four years and a lot of them are notable, such as visual search, web slice, color coordinated tabs, integration with Windows 7 and stronger security with technologies such as Private Mode, Phishing Filter and many other features. Internet Explorer 9 is BETA, which means its currently in development and is probably not recommended for production use. There are some key ways you can test it out, which includes a Virtual Machine such as Windows Virtual PC or a non-production test machine. I currently have a test system setup with Windows 7 Ultimate x64, specifically running Service Pack 1 beta, I also have a VM running Windows 7 Enterprise x64 RTM. 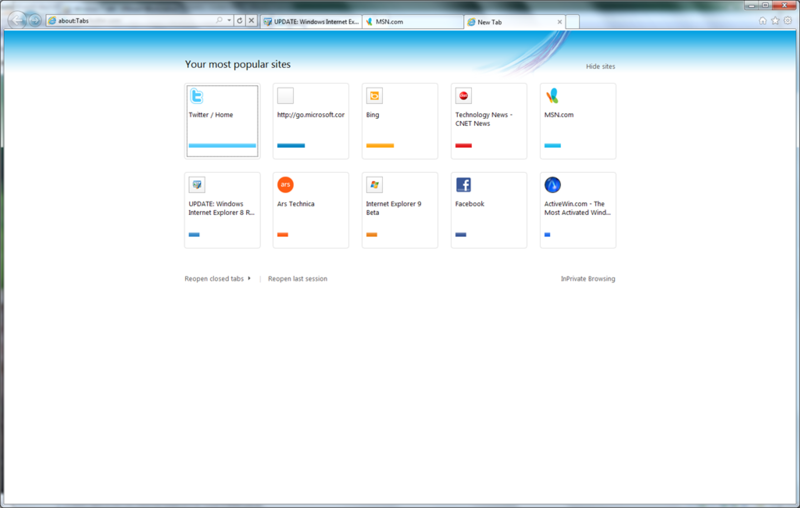 Internet Explorer 9 Beta is compatible with Windows Vista SP2 and Windows 7 PCs. It is not available for earlier versions of Windows Vista or with PCs running Windows XP – so don’t even bother if you are running that version of Windows. As Internet Explorer General Manager Dean Hachamovitch puts it "Building a modern browser requires a modern operating system,"
Microsoft said that the reason for dropping Windows XP are based on technical reasons, such as lack of support for Direct2D and DirectWrite DirectX APIs (applications programming interfaces) in Windows XP. These API’s in addition to security technologies are built into Windows Vista and Windows 7 and just cannot be back ported Windows XP. Windows XP is a 9 year old operating system, the extra burden to support 3 separate versions of Windows (XP, Vista, 7 in addition to various editions and Server releases is probably a bit too much even for a Company with the resources of Microsoft). Its time people move on to Windows 7, if you want to experience the benefits of Internet Explorer 9, upgrade to Windows 7 or at least a minimum of Windows Vista SP2 (preferably Windows 7). If Windows XP users cannot accept this decision, then you can download Internet Explorer 8 which works great on that release. Yes, you still have to do this. Now, onto the installation. Simple, quick and intuitive is how I would describe it. It took approximately 3 minutes to complete the installation. Similar in appearance to Windows Live Essentials wave 4, Microsoft uses a minimal installer. I am a bit disappointed that there isn’t one single 32 and one single 64 bit installer. Users still have to choose which architecture and version of Windows (7 or Vista) they are running. A Restart was required. The interface in Internet Explorer 9 has been streamlined to focus on the content of the web page removing some of the overbearing qualities of past versions. Its a philosophy itself first spoken about with the introduction of the Windows AERO User Experience. The idea of making the content of the window be the star. With Internet Explorer 9, the web page is front and center more than ever. The toolbar area has been exquisitely designed, Microsoft has lessened the amount of toolbars down to just one. The Navigation buttons (back and forward), Address Bar and Tabs have been fused together along with a few toolbar controls (Home, Favorites and Tools). This might come across as controversial and I personally am still in the adjustment stages. What I love though is the simplicity of it all, there is not this heap of features presented, just the essentials that a user needs especially since the idea of web pages are more app centric in this release. Having a litter of tabs in one window is not necessarily the best idea, you can read on further to understand why. I notice when I launched the browser for the first time, I was greeted by a small notification strip at the bottom of the window recommending I Speed up startup and browsing by disabling add-ons. 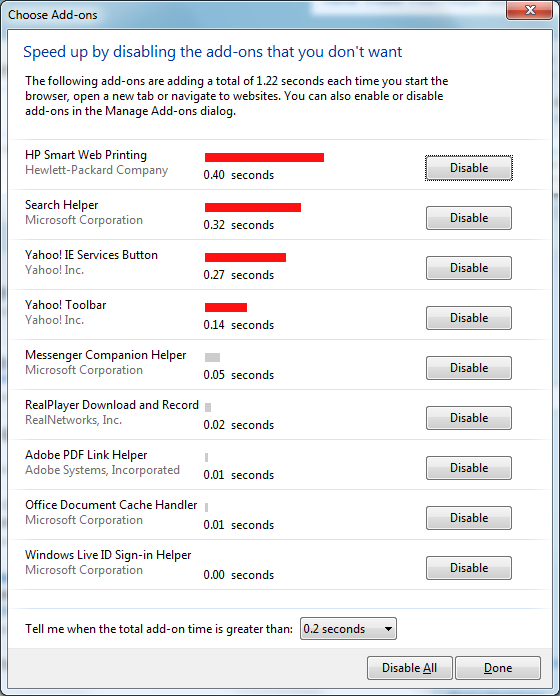 Clicking the ‘Disable add-ons button, leads to a dialog which will display a list of of add ons that might be affecting the web browsers performance. Talk about intuitive, this gives users better insight about how they can improve the performance of their web browsing experience. As you can see in the above screenshot, add ons with red bar indicate how much time they are taking to load. Those with gray bars are minimal and can be left alone. A really great feature! Website’s are probably not something users pay much attention to in the sense that, a lot of the details invested in application development and user experience that are often applied to desktop programs. With Internet Explorer 9, Microsoft hopes to change that thinking, the aim is to make website’s more app centric. In fact one of the cool things you can do with Internet Explorer 9 optimized website’s on Windows 7 is pin them to your Taskbar just like any other application such as Word or Photoshop. A number of high profile web developers have focused on revamping their websites just for IE 9, these include Ebay, CNN, Redbull, Amazon.com and IMDB, to name a few. Microsoft announced 70 partners who have all optimized their sites for the beta. 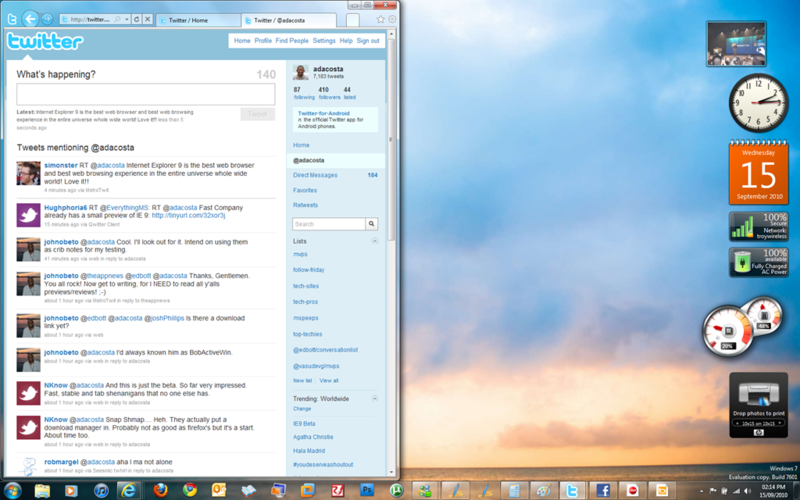 The intention really is to blur platforms a bit, to make the web as much a part of the desktop as possible. Its an interesting approach. What I believe this will do is create better brand consciousness among web developers to focus more on the quality of the website, such as how easy it is navigate, the use of colors and layout, even down to the most minute details such as the Webicon. 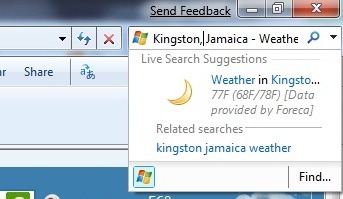 When you pin a webicon to your Taskbar, you will notice familiar Windows 7 functionality, such as the ability to right click the icon and access Jump List. This is great for my favorite sites that I open first thing everyday, such as Twitter, Facebook, CNET News, ZDNET and many others. There is could be more intuitiveness about how you pin a webicon to the Taskbar, I thought you did it by right clicking a Tab, but later discovered this is done by holding down on the web sites emoticon in the Address Bar, then drag it to the Taskbar. Although drag and drop is a natural action over the years, a quicker method I would recommend is to have a right click the webicon menu in the Address bar with a pop menu displaying option to pin to the Taskbar. Here is an interesting branding idea I noticed is a part of Internet Explorer 9. Web developers can now customize IE on the fly to reflect the core identity of their site. An example of this is through elements such as the Back and Forward Navigation buttons with colors specific to that website. Similar color coordinated colors for applications on the Taskbar, such as a blue button representing Microsoft Word. It’s a more engaging way for sites to embrace the desktop and a bit of personality along with clear identification to a user. Chrome and Firefox has a lot of catching up to do with features like this. This is just a tip of the ice berg though, the key integration is when you check out the Jump List features, not all sites support it at the moment, but I am sure they will over time. Two examples are Twitter and Facebook. 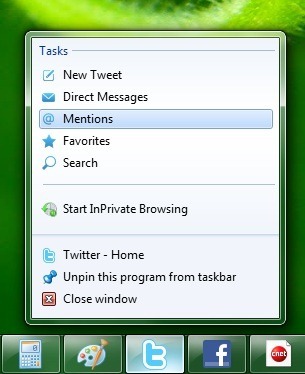 When you pin either social network to the Taskbar, you will see unique Jump List Tasks such as @Mentions, Direct Messages, New Message, Search and Favorites. Facebook offers its own unique task such as News, Messages, Events and Friends. This immediately blows Chrome and Firefox out of the water. The idea of opening up the browser and typing in a URL or click a favorite link to your site then navigating to a specific location is unnecessary. Jump List integration is just spectacular! The integration doesn’t end there either, Internet Explorer 9 also takes advantage of other Aero functionality such as Snap. One of the cool effects in Windows 7 is Aero Snaps which allows you to snap to windows to the side of the screen which automatically fills the half of the screen. This is great for doing reference or comparison activities. With Internet Explorer 9, it’s a breeze. 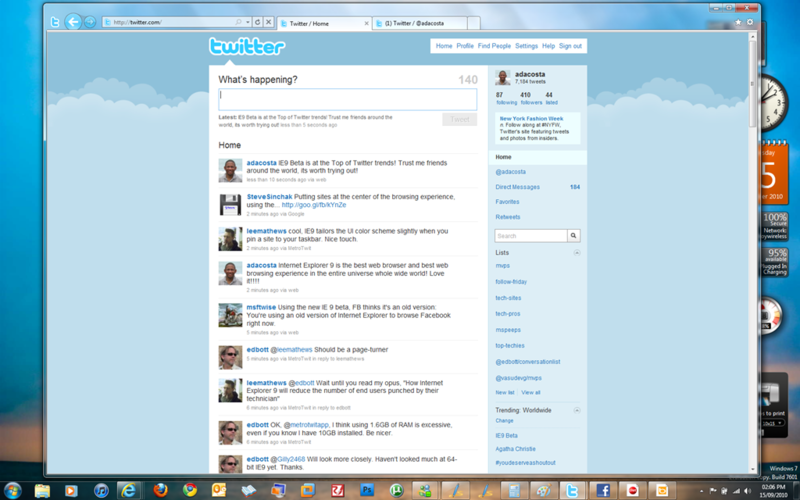 Here is an example, I have two tabs open in my Twitter window (my Twitter Home Page and my @Mentions page), suppose I want to compare the two at the same time. 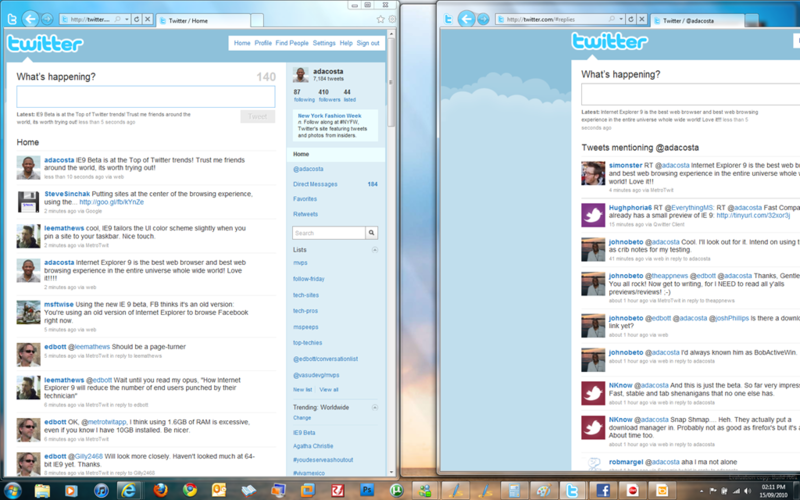 With IE 8 or Firefox, I could do a Tear off tab action then use then use the Aero Snaps feature to compare both windows. But why bother going through all that process? 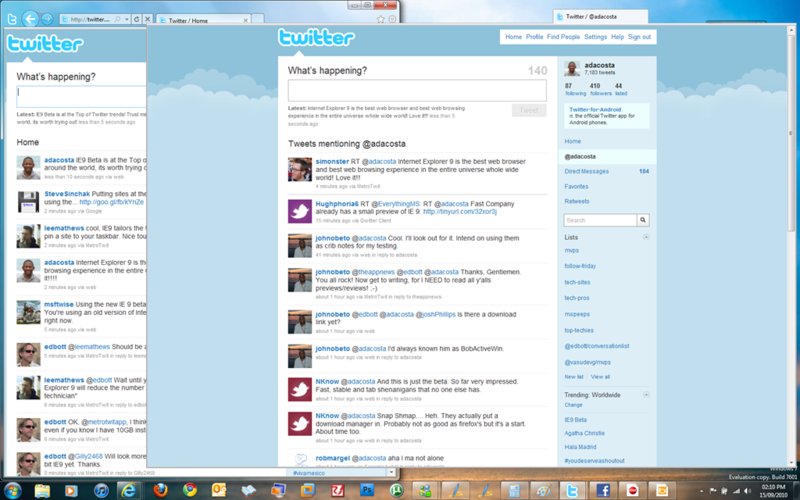 Here you can see I am simply dragging off the tab for my @Mentions window to right. There I go, as easy as that. Now I can do whatever comparison or reference I want with both windows on screen. When I decide that I am finish, all I gotta do is simply redrag it back into the original window! How amazing is that??? Its synergies like this that show the level of sophistication and thought that has gone into the users experience for this release of Internet Explorer 9. Its another example of why Internet Explorer 9 was not possible on Windows XP. 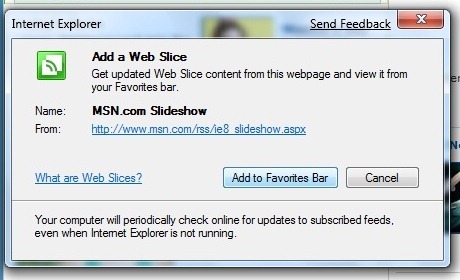 Of course, this is probably the most critical area of the Internet Explorer 9 experience. Since March, Microsoft has been releasing a preview of the engine powering this release. Early testers have been impressed. I personally didn’t take the time to try it out and preferred to wait until today when Microsoft released a full featured beta. Microsoft has made some critical improvements, I noted earlier such as the Disable Add on feature. But this is only a minor aspect. Internet Explorer 9 is going at the deepest level meaning the entire computer contributes to the browsers speed, these include processor, memory and in particular Video Graphics or Graphics Processing Unit (GPU). Microsoft calls this Accelerated Graphics. This provides are more dynamic web experience by utilizing the power of the GPU to handle the rendering and processing of video and images to speed up presentation and load time of pages. This is based on low level improvements introduced in Windows 7 and Vista through Direct2D. I decided to try out 15 of my favorite websites I tried last year in my Internet Explorer 8 review, along with two other browsers, Firefox 3.5.9 and Google Chrome 6. The results are interesting, of course Internet Explorer 9 is still in development, so we might even see additional improvements as Microsoft continue tweaking under the hood. Also, as more sites become optimized, we might even see greater performance, but for now, these are the results I am seeing. They are unscientific, since I did using a stop watch. I tried out loading a wall paper image off Microsoft’s Windows 7 Personalize Gallery, here is a link to the image I loaded here There wasn’t anything to report as all 4 web browsers loaded the image instantly. Testing browser performance is tricky, the fact that some of the load times are very negligible, I seriously have wonder if its worth doing if you are already on a fast broadband connection. Autocomplete suggestions in IE 8 as noted is based on your sites visited, browser history. 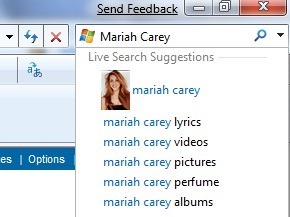 In Internet Explorer 9, you can now get real time feedback based on Bing results. This is turned off by default and you will have to manually turn it on (privacy reasons). The most dramatic improvement is the fusion of Search into the Address, just like Google Chrome with its Smart Bar feature. So, you not only can enter URLs, you can do web searches right there too. Suggestions from Bing, I can even choose other locations such as Google – Internet Explorer 9. 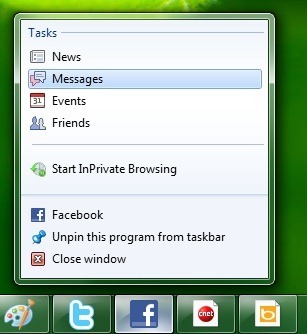 The new Tab window button is so much faster than Internet Explorer 8. I am sure many of us know how molasses slow it was, not anymore! It opens instantly and displays a list of your most recently visited websites. It looks like Tab Gallery has been incorporated into the new New Tab page. Its very interesting the changes they have made here with the use of colors. Users will notice that a display of all your popular sites that you visit most often are shown, along with a color coordinated bar below each, indicating how actively you visit the site. The length of the bar is an indication of frequency. From here you can do task like Reopen closed tabs along with your last browser session. You can also hide sites you don’t see or reveal or even start an InPrivate Browsing session. It would have been nice to have non-adjacent selection support here to quickly close a batch of sites on the fly. The three buttons at the top right don’t reveal anything new, the Home button does as it suggest, takes you to your home page. The Star reveals all your Favorites, History and Feeds. The Bolt (Tools menu) list all common Options and Settings for the browser. 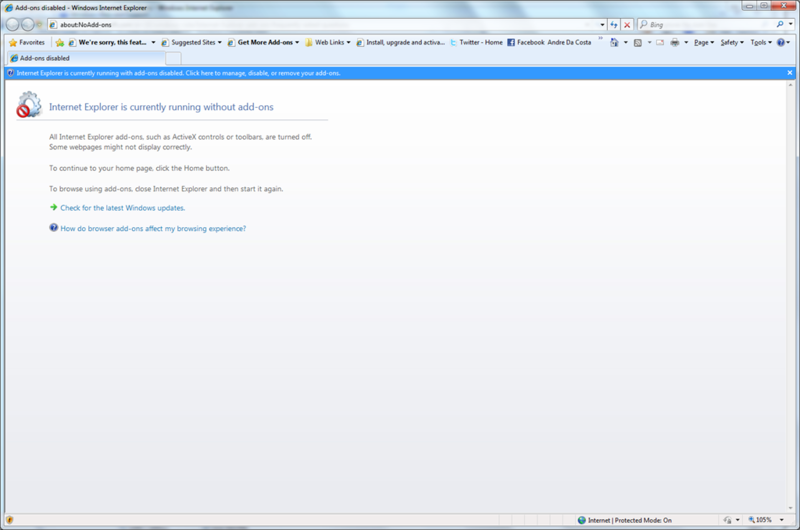 I am disappointed that Internet Explorer 9 does not introduce a new Internet Options window. I personally think its cluttered and need to be revamped with a similar look and feel to the one in Microsoft Office 2007/2010. It would be nice if the IE Team added a File menu tab similar to the one in Office 2010 apps, with a Backstage like interface. Download Manager – trust me, it needs it, I find it very handy in FireFox and Safari – Pause/Resume, Manage. Yes, finally! 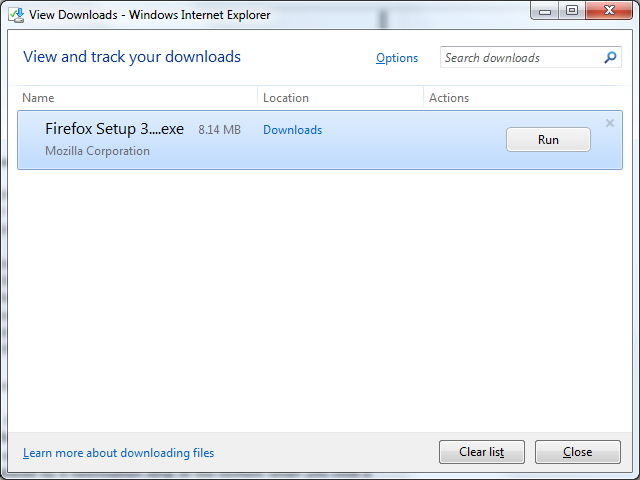 Microsoft has introduced an interesting approach for downloading and running an executable in Internet Explorer 9. The old download dialog has now been phased out and replaced by a notification strip at the bottom when you click a download link, you have the option of running it, saving it or click cancel. You can click the View Button which will reveal the all new Download Manager. You can quickly access the Download Manager by pressing CTRL + J or click the Tools menu and click View Downloads. Non-adjacent Selection of text on web pages. Nope, didn’t make it. Customizable toolbar, I personally wouldn’t mind if buttons such as Home, Feeds, Print, Page, Tools and Help were on a another toolbar group such as the Address bar group, I need more real estate for Tab’s that’s much cleaner. The new Favorites Bar in particular eats up a lot of space. Nope, and for obvious reasons, the new layout is more focused on putting emphasis on the web page instead of the browser window. List View layout for Options, similar to Office 2007 Options dialog. Also make the Advance settings a part of the list view Options, this includes: Accessibility, Browsing, International, Multimedia. Nope, discussed earlier, well, I can still hope. Make Print Preview utilize a Tab instead of opening a separate window. Nope, but what I notice is that Printer Preview took a long time to compose a window of the preview. Close button Tabs like Firefox. Nope, hopefully by RTM I wish. Since we are on the topic of Tabs, there are some love aesthetics improves, there is a faint level of transparency, color coordinated tabs are more subtle compared to IE 8. One unified 32-bit and one unified 64-bit installer. Note, you must download for Windows 7 64 bit, Windows 7 32 bit, Windows Vista 64 bit and Windows Vista 32 bit. Microsoft, would love if you could simplify this. I have only touched the surface with this introductory preview, but so far I am most impressed by this release of Internet Explorer, it’s the absolute best in years. 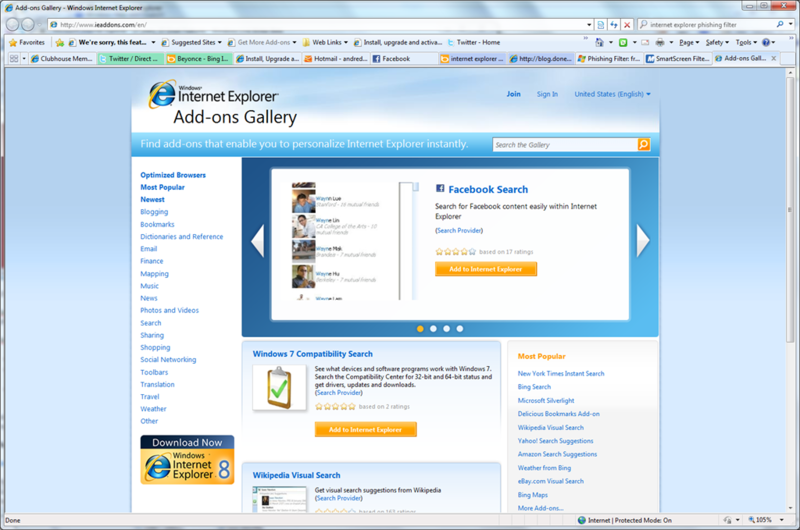 The emphasis on engaging more with the web page, allowing web developers to offer unique experiences that integrate more with the desktop make Internet Explorer 9 truly one of a kind. You are not gonna see some of these benefits on Windows Vista, which makes it an even better reason to upgrade to Windows 7 if you haven’t already from Windows XP. Its still early days yet and I am most looking forward to seeing more sites show off their unique experience over time. Again, the streamlined interface, jump list integration, new tab page improvements, superior performance over IE 8 and even competitors such as Firefox and Chrome, deep integration with Windows 7 Aero Effects such as Snaps, I have to say it, I believe Microsoft has the best web browser in the world right now. Stay tuned for more updates. Last month Microsoft Internet Explorer, the worlds most popular web browser celebrated its 15th birthday. 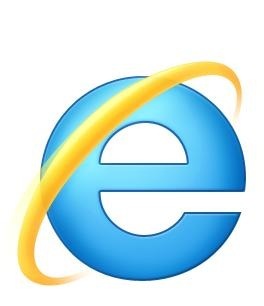 Released in August of 1995, the same month as the block buster release Windows 95, Internet Explorer came at a critical time during the web’s growth and increasing popularity among first time computer users. At the time Microsoft faced healthy competition from Netscape who help to popularize what seemed like a new computing experience. Both web browsers forever changed how we engaged with computers and throughout those battles, lawsuits, pranks and demise, consumers have ultimately benefited the most. Today, Microsoft Internet Explorer is still standing, still a strong contender which is being re-energized for the next phase of the Internet. Today, IE faces a growing and very healthy group of innovative group of competitors such as Mozilla Firefox, Opera, Google Chrome, Apple Safari along with niche brands. Today, I want to discuss Internet Explorer and some of the cool features users love and appreciate in the latest release. These are just 15 of the features I think make Internet Explorer great. Yours might be different all together. 1. A more informative address bar, as you can see in the above screenshot, Internet Explorer 8 details information such as the type of application protocol along with the domain name and top level domain name. It might not seem readily useful but makes it easier to identify the security of a website along with the domain name. 2. A more a manageable Address Bar history. Firefox had this for a while now, the ability to delete URL’s in the address bar history list, thank goodness, its in IE 8! 3. 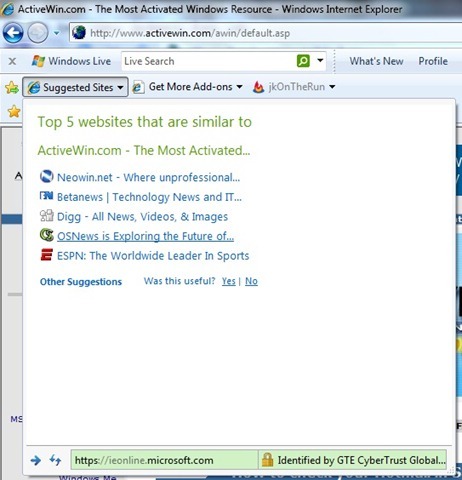 Address bar suggestions, Internet Explorer 8 provides an end to end experience when it comes to web browsing. You can also use this feature to search for recently browsed web sites, as you can see, keyboard tips are also presented when working the address bar area. 4. A Search box that’s more intelligent, providing not only a quick way to get results from your search engine, but actually deliver useful information. 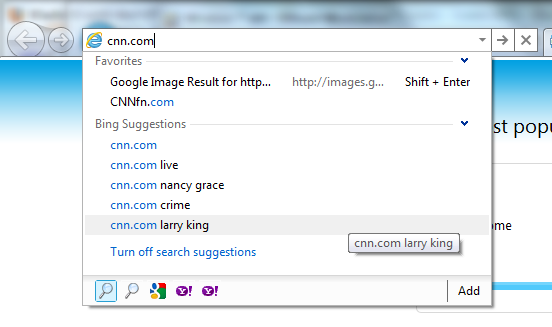 The above screenshot shows how Microsoft is really innovating when it comes to Search and synergies. This is a great way of saying there is more to Google than Search. 5. Color coordinated tabs is a fun, useful way to keep track your many websites you might have open in the web browser. When ever you open a link a in a tab from within an existing tab, it creates a color set indicating the tab from which it was opened. Coordinated Tabs also works in ‘Quick Tabs’ view and ‘Tabs List’. 6. InPrivate browsing – prevents Internet Explorer from storing data about your browsing session. This includes cookies, temporary Internet files, history, and other data. Toolbars and extensions are disabled by default. 7. You gotta love a feature like this, especially for persons who want to know more about the web, find similar sites of interest about a certain topic, Web site suggestions does just that and results are surprisingly accurate! 8. There is always that little snippet of information you always go back to a website just get the latest info from. Now let that website bring the information to you using Web slice. A great way to know what’s going on by simply cropping a portion of the website. 9. Accelerators provides useful contextual links for common activities with text that you select on a webpage to perform such tasks as opening a street address in a mapping website or looking up the dictionary definition for a word. You can also choose the web services or websites that Accelerators use to handle different types of tasks. 10. 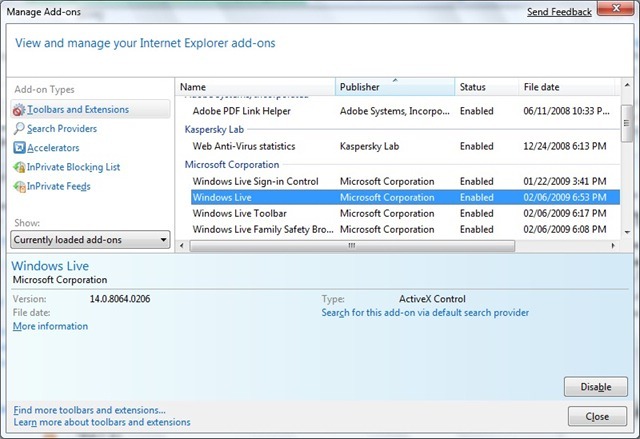 A cleaner, organized way to manage all your Internet Explorer add-ons in simplified categories. 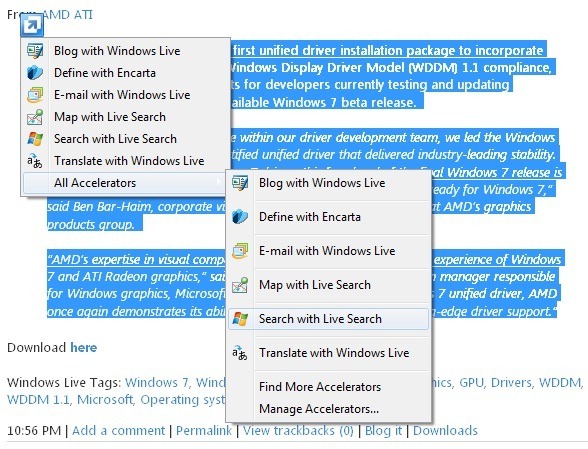 This is one area, I had hoped the IE Team would have also applied to the Internet Explorer 8 Options dialog. 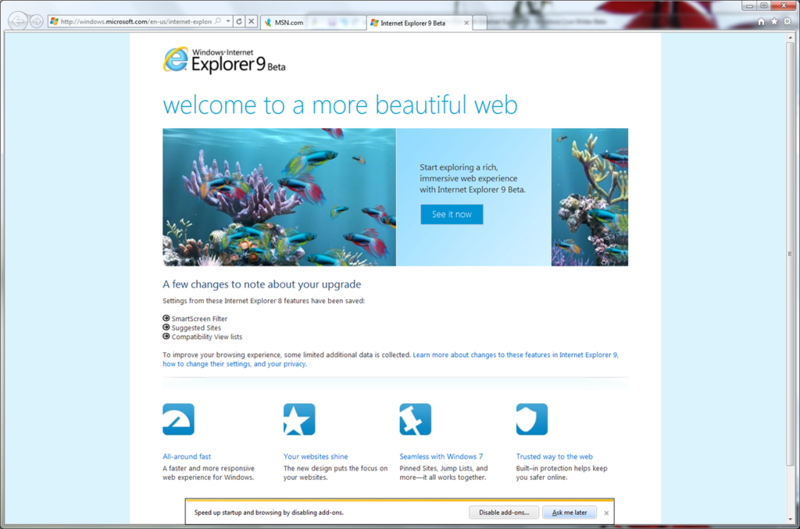 We will see that improvement in Internet Explorer 9. 11. A great part of the Internet Explorer experience is its extensibility, at the same time, some add on’s can cause problems, not to worry. 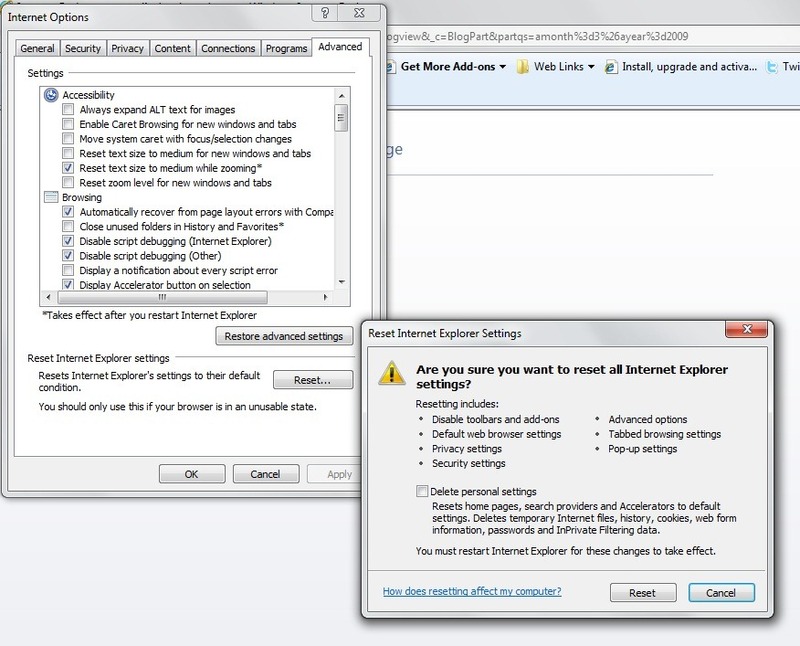 With the release of Internet Explorer 7, Microsoft introduced the ‘Reset Internet Explorer settings’. What it does is brings your browser to its default state like it was the first time you launched it. Of course, it should be used as a last resort in some scenarios as it deletes all accumulated activities that have taken place throughout the browsers use, so add on’s you might have installed, web browser settings, privacy settings, security settings, advanced options, tabbed browsing settings and pop-up settings. 12. Quick Tabs and Tab List – Both Firefox and Google Chrome are beginning to realize that we spend a lot of time in the browser and the amount of Tabs we have open can become unwieldy after awhile. Don’t be surprised to see in some cases of 30 Tabs open in one session. 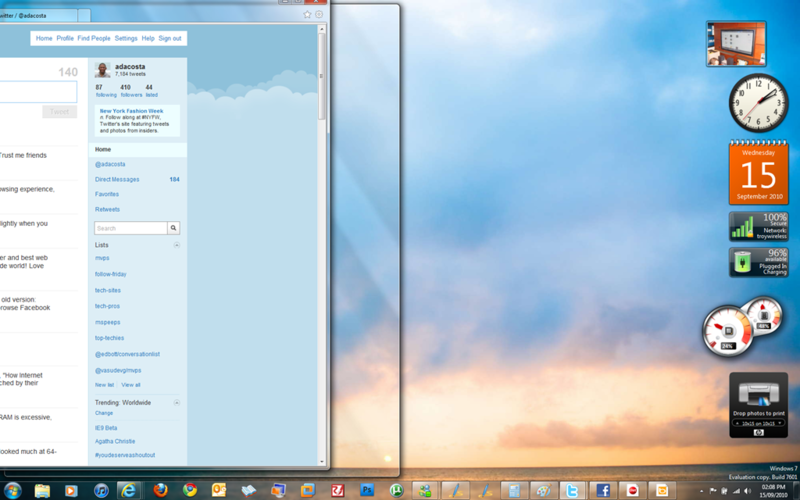 Internet Explorer 7 introduced Quick Tabs, a cool way to get a visual birds eye view of all your open web sites. You can also view your tabs in list view using Tab List. 13. Internet Explorer No Add On’s – Its debatable whether this is a feature or not, but it sure makes a great diagnostic tool for troubleshooting when an add on might be causing the web browser not to function as normal. All third party add on’s are disabled when IE No Add On’s is in use. SmartScreen Filter is a feature in Internet Explorer 8 that helps you avoid socially engineered malware phishing Web sites and online fraud when you browse the Web. Checks Web sites against a dynamically updated list of reported phishing and sites. Checks software downloads against a dynamically updated list of reported malicious software sites. 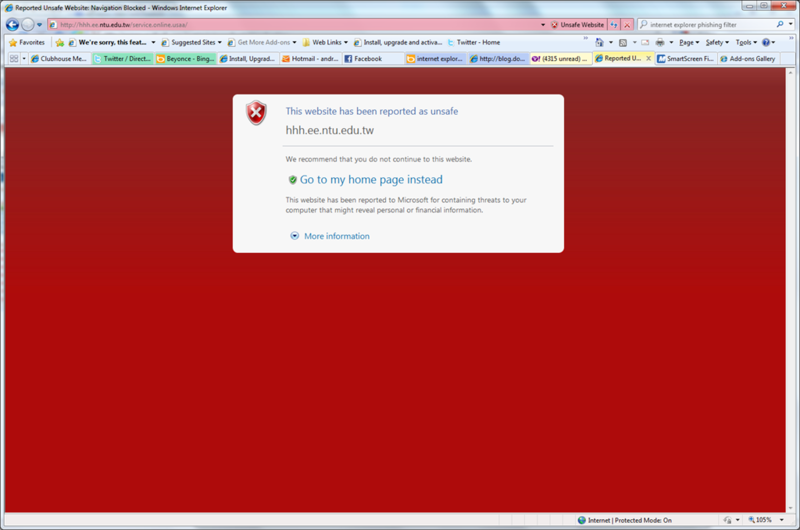 When you have the SmartScreen Filter turned on, if you attempt to visit a Web site that has been reported, the screen below appears and advises you not to continue to the unsafe Web site. 15. Add-Ons Gallery – One of the great ways to make your web browsing experience even more productive. I spoke earlier about Internet Explorer’s extensibility. The Add-On Gallery provides a secure place on the web to find a wide collection of popular add ons for a wide range of user needs, such as blogging, Mapping, Music, News and Shopping. Its great rediscovering all these features included with Internet Explorer that provide a secure, entertaining and productive experience. Its September, back to school is right around the corner, lot of last minute activities are taking place to get ready for the new school year. Teachers in particular have a lot do both on the back end and in the class room. When I talk about the backend, it could mean, familiarizing with the new curriculum, creating lesson plans or other educational activities teachers have to do this time of the year. My brother has been a teacher of the Industrial Arts since 1997. Back then, everything was done by hand with a notebook and pen as tools of the trade. In the early 2000’s he started moving to a digital workflow, which included preparing notes in Microsoft Word and printing them out for his students. It was such a dramatic improvement compared to what he had to do before. 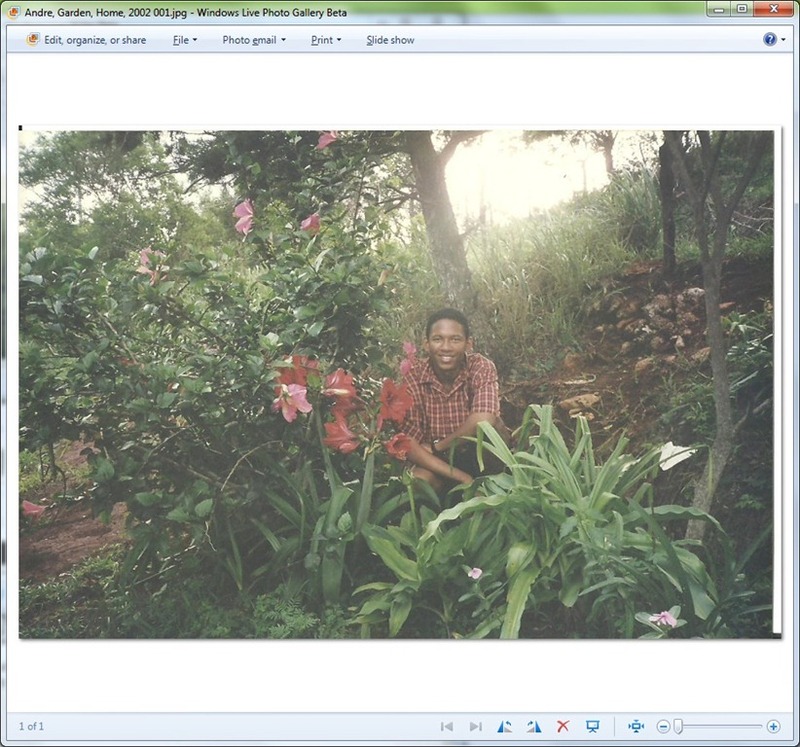 Back then he probably had to go to a lab PC late in the night, prepare the notes, get one print off and then get photo copies done for the next day. This was likely done occasionally. With time and the commoditization of computing, teachers are able to get better access to technology. My brother now has his own computer assigned to him in the staff room, he has personally moved from our family’s old ALR which ran Windows 98 and an Lexmark Z11 hand me down which died after years of intense use. 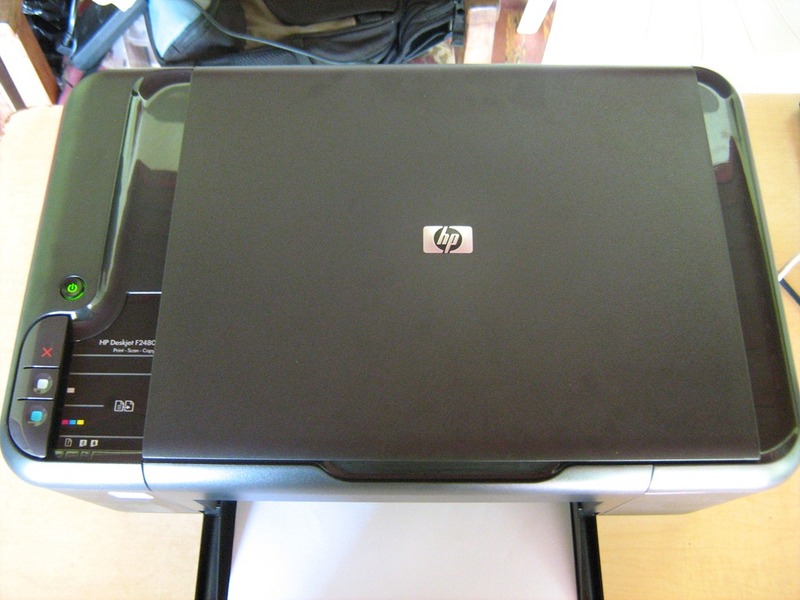 He now uses a Dell Inspiron 15xx series notebook and just last week he decided it was time to once again retire his most recent printer, an HP 3000 series desktop printer with something more powerful and multi-task oriented. 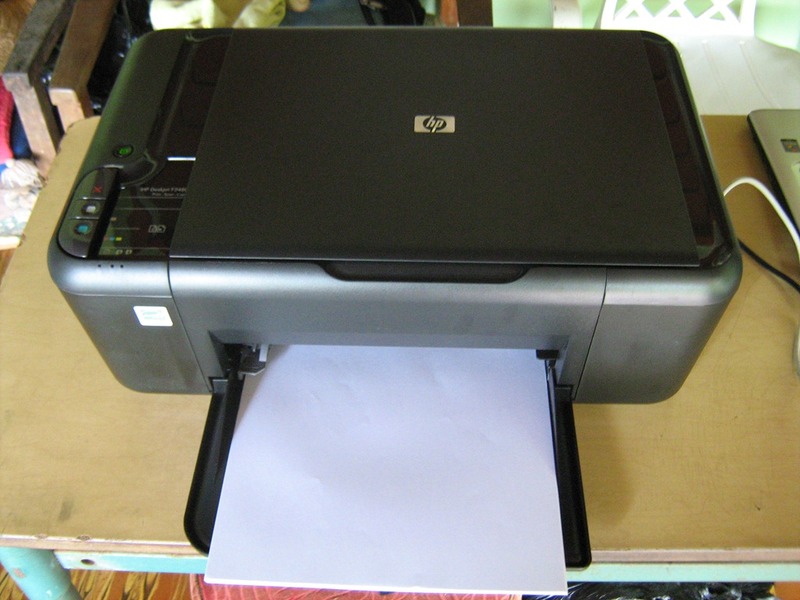 That is, the HP Deskjet F2480. I am going to admit, I do not do a lot of printing these days, but there are the occasional moments such as printing a picture or my curriculum vitae. 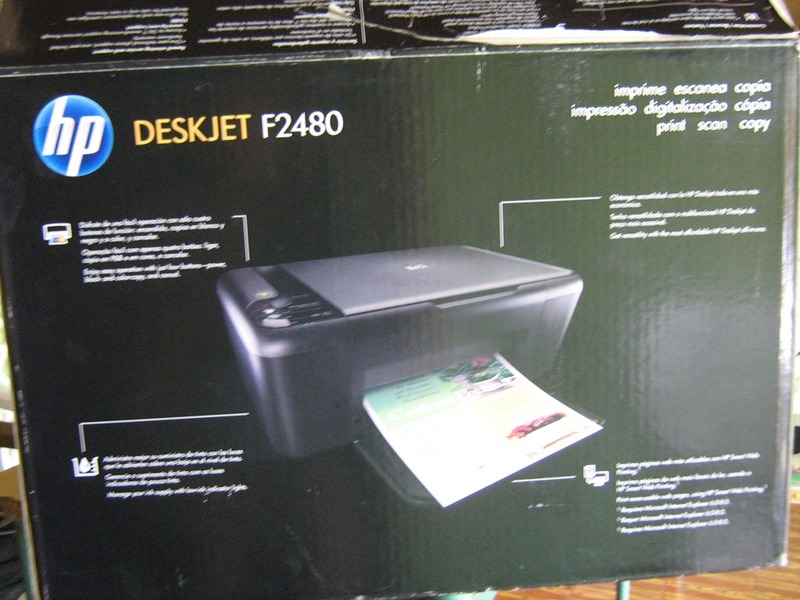 The HP Deskjet F2480 provides a wide range of functions to make any Home Office user happy. You can print, copy and scan in a sleek all in one design that’s not too big or small. 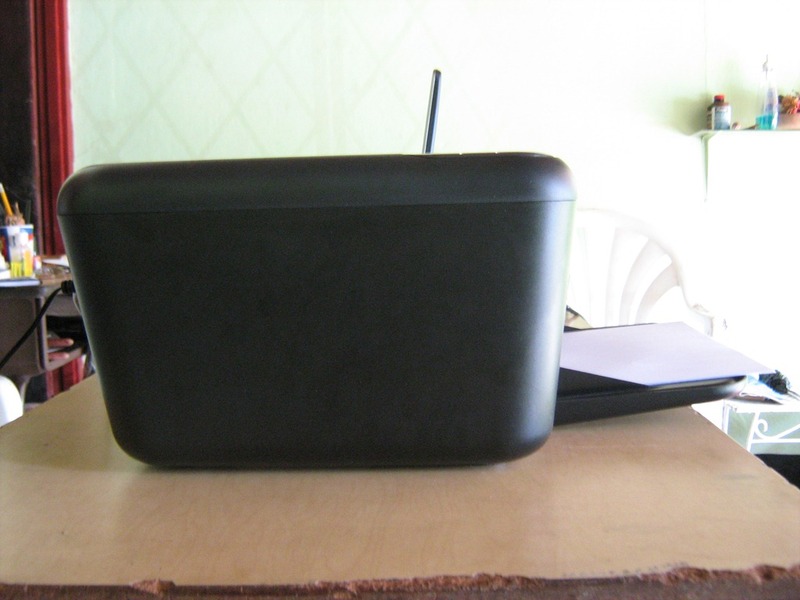 The gorgeous black finish is subtle yet attractive and looks really attractive on my desk next to my laptop. Some of the immediate benefits I notice with the printer is its convenience, you don’t even need to turn your computer on to use it! Before I go on, lets talk a little bit more about setup. 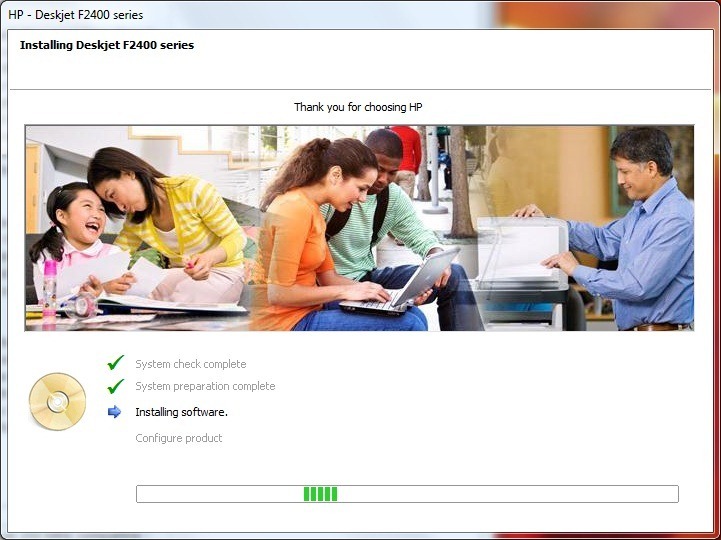 The product box notes that for Windows 7, some features may not be available, for more information, go to http://www.hp.com/go/windows7 The installation DVD includes version 13.0.1 F2400 series drivers which notes Windows 7 support. Installation is a 10 step process, from taking it out of the box to installing the driver software. For this part, I will deal with installation in Windows. 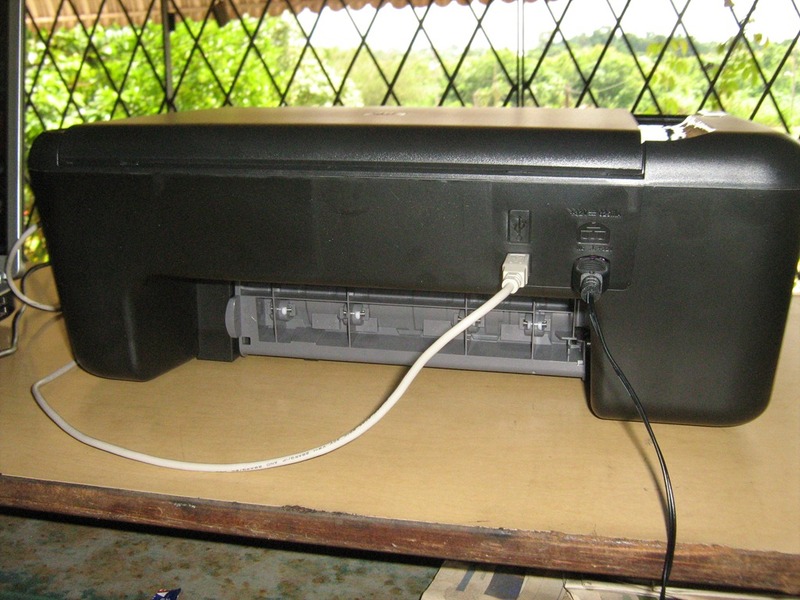 Overall, hardware setup is very quick and easy, take it out of the box, open the ink compartment, remove the protective cardboard over the printer sensor, plug in the printers power adapter, turn it on, then let it adjust itself. After you have configured the hardware, make sure you insert a blank paper into the paper tray feeder, the next step is to install the included ink cartridges, remove the protective clear tapes, open the cartridge door, push cartridges into carriage until they snap. Close the cartridge door, wait 30 mins for alignment page to automatically print. Once printed, open the scanner lid, place alignment page face down. Close lid. Press Start Copy Black button. The alignment process will ensure the best quality. What’s interesting, a lot of this is done independent of Windows. It was really a breeze. Now, finally, on to using it with Windows 7. Those buttons are so retro. 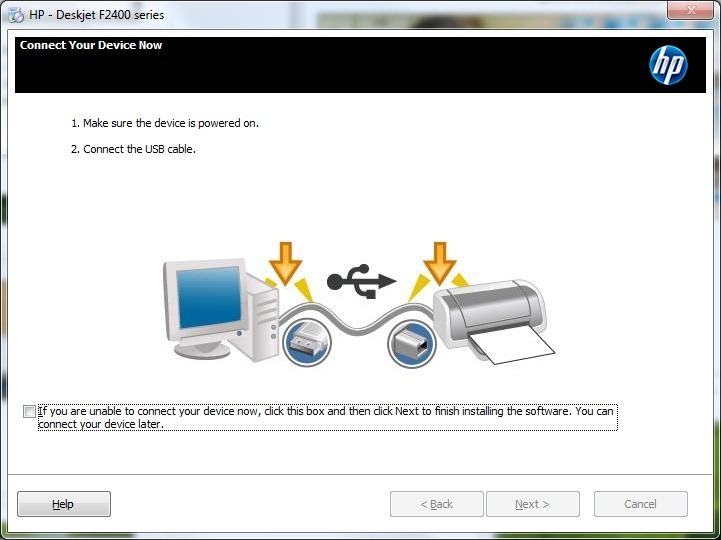 Before connecting the printer to your computer, you must install the device driver first. You will need a USB cable (purchase separately) no wireless printing support. The printer setup screen is very simple, with a welcoming layout, although I must say those buttons on the screen are quite ancient and look like something out of Windows 2.03, I notice on the setup pamphlet, the Mac OS X setup is more elegant. 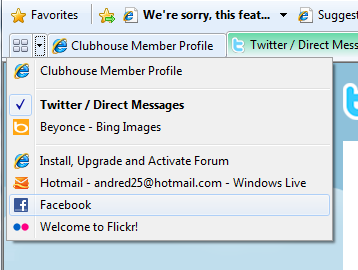 After clicking Install, I encountered a User Account Dialog, which I haven’t seen in ages since upgrading to Windows 7. Next was a prompt informing me I was installing on Windows 7, although there was no indication about why I got this prompt except for a link to more information about HP F2480 and Windows 7. Next up was an alert screen informing about alert dialogs during installation and I should ensure I approve them. Setup also recommended I disable my firewall and Antivirus. A bit drastic I must say and I decided not to do that, not out of fear, but I think its just pointless. I have to say, I started getting a bit annoyed with the amount of screens that required an action from me, this so far was proving to be the most obnoxious installation experience I have encountered in a long while. Although this screen had to do with the End User License Agreement, getting to the business of installation was becoming more like a hurdle. I hope this is the final one! Yes, the problem was Adobe Flash hidden behind the installation window. There wasn’t even a icon on the Taskbar to indicate a program had halted the installation. Why do I need to even install Flash to install a printer? HP, ridiculous, ridiculous! Anyway, the installation proceeded with approximately 8 more task to complete. 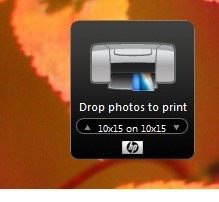 I have to say, in all my years of installing HP printers, this is probably a very disappointing experience. It lacks intuitiveness and simplicity. The time it takes is too much, just for 3 common task: printing, copying and scanning. I stop tracking how long it took to install after this. The next phase was connecting the printer. You have the option of skipping this step, but I recommend you do it from now just to move things ahead. 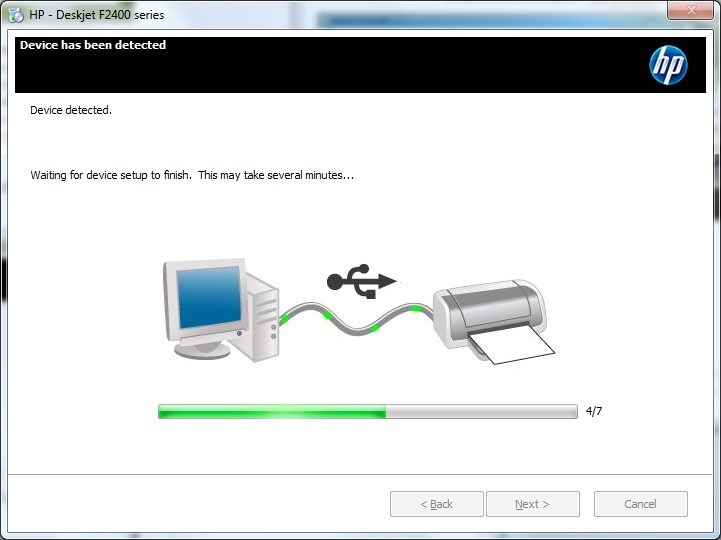 Connecting the printer to my Windows 7 PC for the first time. Even after this process, there was still more installation to complete, again, another example of how unintuitive the installation experience is. During this last, I notice that the installation added a Gadget to my Gadgets gallery. Called the HP Photo Print Gadget, it’s a handy little program for quickly dragging and dropping your photos for printing. You can easily specify print size and paper size on the fly. Another dialog fooled me into thinking the installation was still in progress. A window advertising Windows Live Photo Gallery integration, it was not until I closed the dialog, the software installation wizard said I click finish. After 10 wizards, I finally had it installed, but not without another screen prompting me to register. I notice the registration screen is modal and I could not switch between programs until I closed the registration screen, weird. 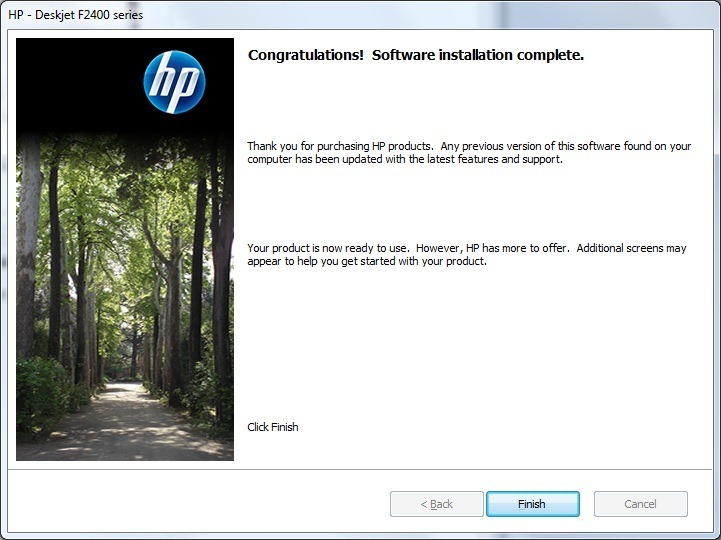 After exiting the HP 2400 Series installation software, the HP Solution Center software launched automatically. 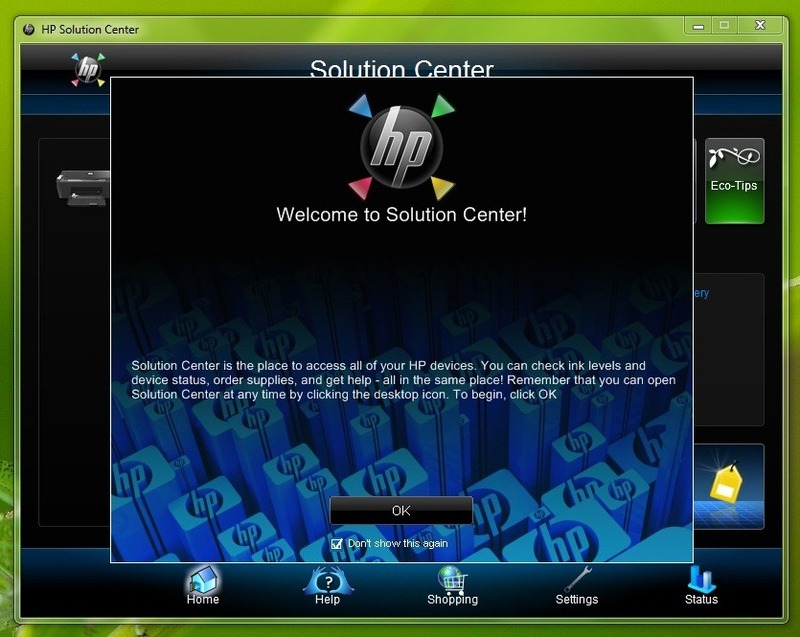 Solution Center is a control panel like utility for all HP related devices, you can monitor ink levels, device status, order supplies and get help in a centralized location. 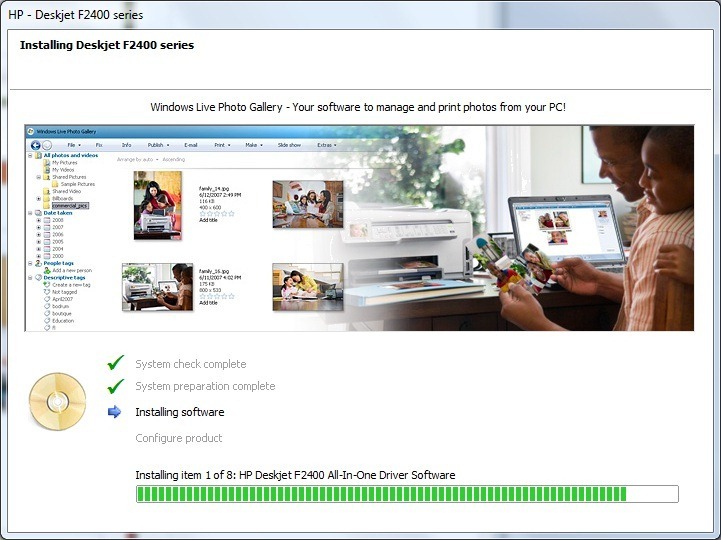 I noted earlier that the HP 2400 installation software provides a cobranded copy of Windows Live Photo Gallery. Since I recently upgraded to the latest Windows Live Photo Gallery Wave 4 beta, I was interested to see how it worked out with the printer. Windows Live Photo Gallery wave 4 is the latest version of Microsoft’s easy to use digital photo management, editing and what I call, social solution. This new version features innovative features for geolocation, facial recognition, ability to publish to popular photo sharing services such as Flickr and social networks such as Windows Live, Facebook and even your Skydrive and Windows Live Messenger feed. Photo Gallery 4 also features the Scenic Ribbon which makes it easier to find functionality once buried under menus. Organization is a welcome feature and I prefer way more over the previous version in the menu structure. 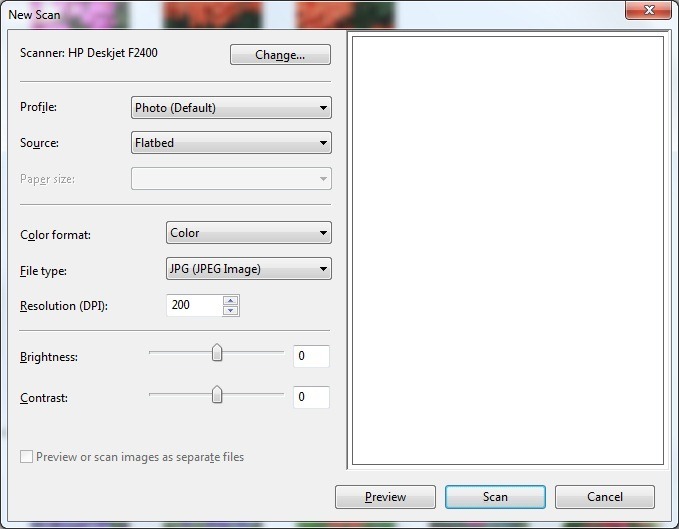 Accessing the print options is more logical and quicker, just click File menu and click print. My first task was try out scanning features of the printer. Photo Gallery makes scanning a Photo very easy, just place the photo on the Flatbed scanner, in Photo Gallery click the ‘Import’ icon located under the ‘Home’ tab. 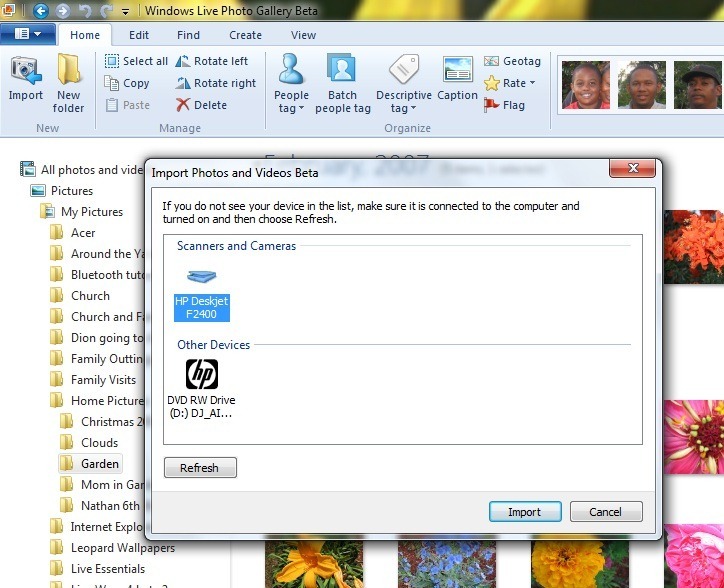 Next the ‘Import Photos and Videos’ window will appear, display the source device from which you will obtain the media you want to import into Windows Photo Gallery. 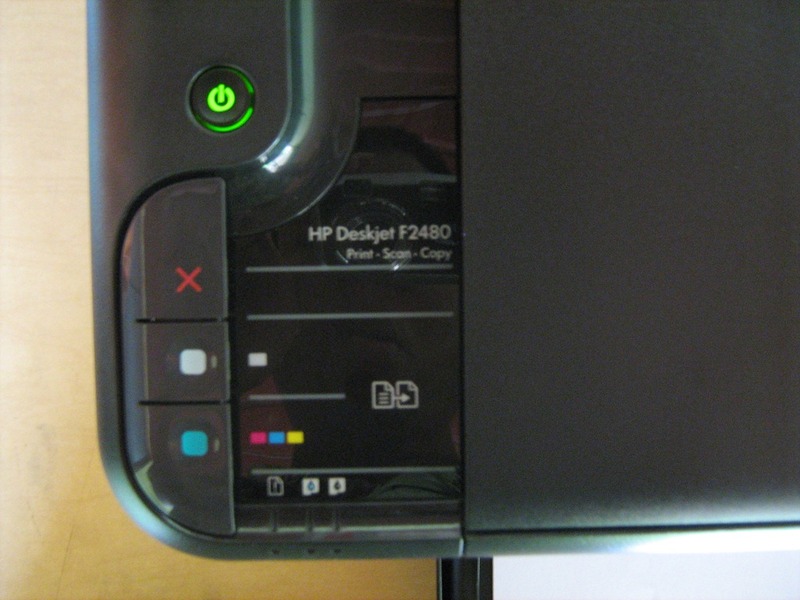 As you can see, Photo Gallery displays the HP Deskjet F2400 Deskjet, if you had your digital camera connected, it will also be shown. You can also import from other mediums such as DVD and CD’s. Next, we click import. The New Scan window will appear on screen. Here you will see a number of options, such as the name of your Scanner which you can quickly change if you have another one connected, the type of content your scanning (Profile), Source. You can also choose the Color format, file type you want to import in and resolution which is the level of quality you want to import it at. The higher the DPI (or Dots Per Inch), the better the quality of the photo. Other tools we can see in the above screenshot such as Brightness and Contrast allow you to import with just right quality you want. But before we go any further, lets start working those tools at the bottom of the screen, Preview and Scan. 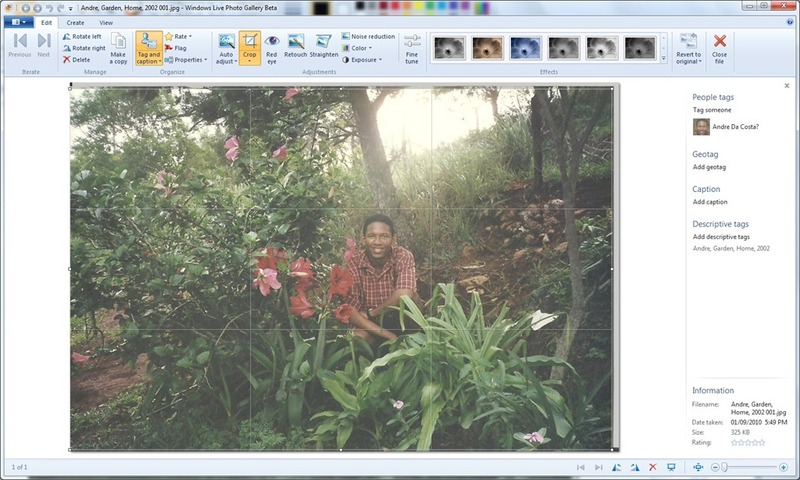 Preview allows you to get and sample of what the photo will look like when you scan and before you import it. You can see a preview of the Photo in the above screenshot. Now, I can go ahead and scan as is, but, why not make a few adjustments. You will notice there is a lot of white space, so what I will do is reduce the size of it. The four anchors shown in the window indicate that you can crop the photo to just the right size. 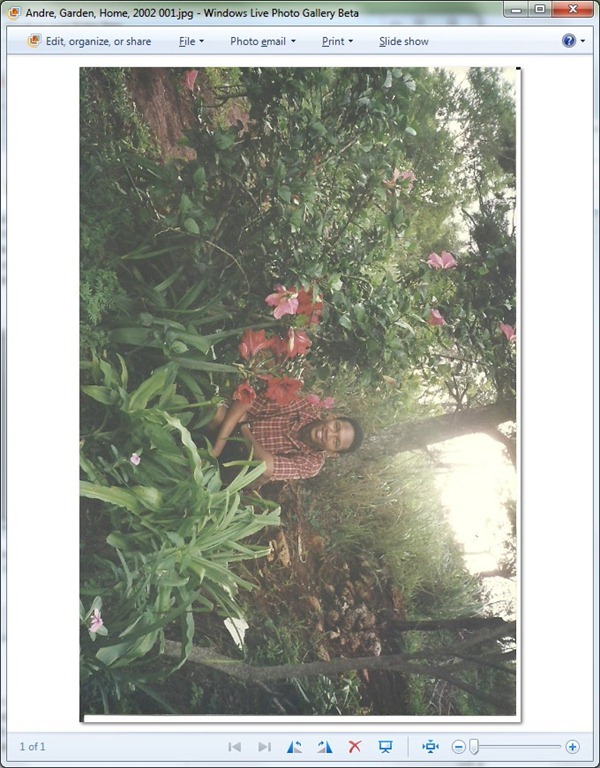 Now, I have my photo cropped to accurate dimensions, I can proceed with scanning and have it imported into Photo Gallery. Scanning takes only a few seconds, but the higher the quality it might take a bit more time than a few seconds. 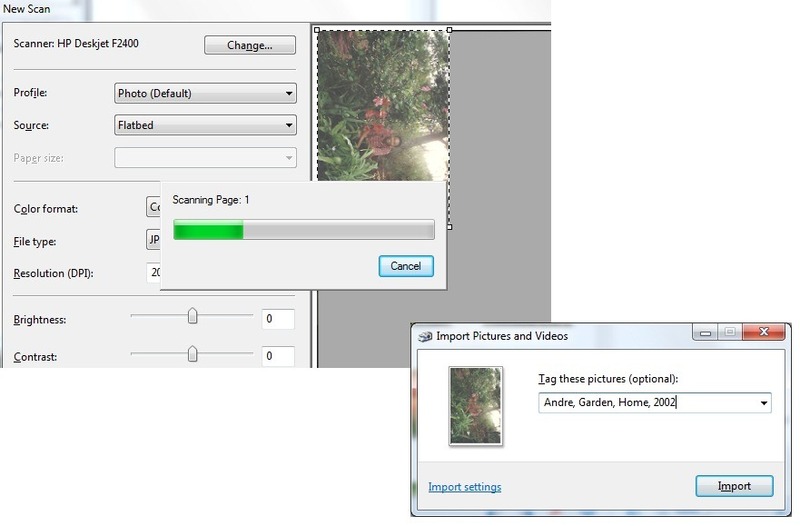 Once scanning complete, the Import Photos and Video displays a dialog with options to add Tags to the photo. This allows you use key words to quickly find and sort your photos in Photo Gallery. 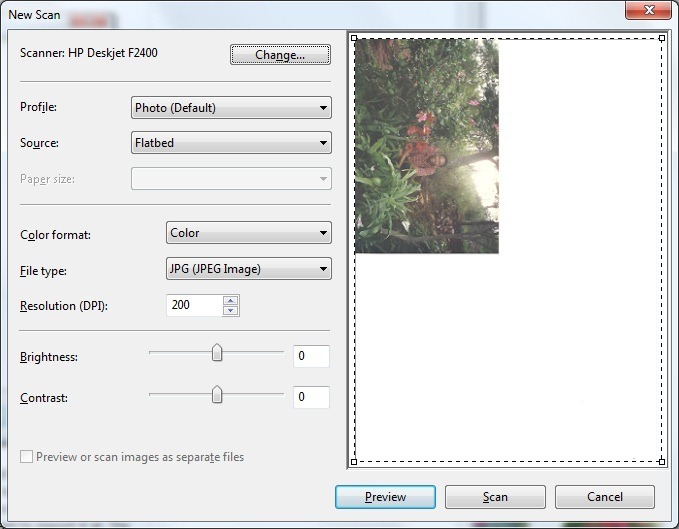 You can also quickly change options to where you would like the Scanned Photo to be stored. A few more adjustments to be made. At the bottom of the Photo Gallery preview window status bar, you will see some quick tools for making on the Fly adjustments. One of them is the Rotate options. My Photo above will be rotated counter clockwise to quickly adjust it in its appropriate orientation. Now that my photo is in the right orientation (land scape), I just need to remove that piece white border at the edge. 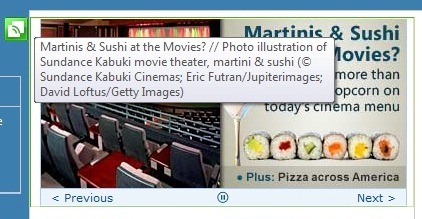 To do that, click the ‘Edit, organize, or share’ button the Photo Gallery toolbar. This will take you to the Edit Tab in Photo Gallery. 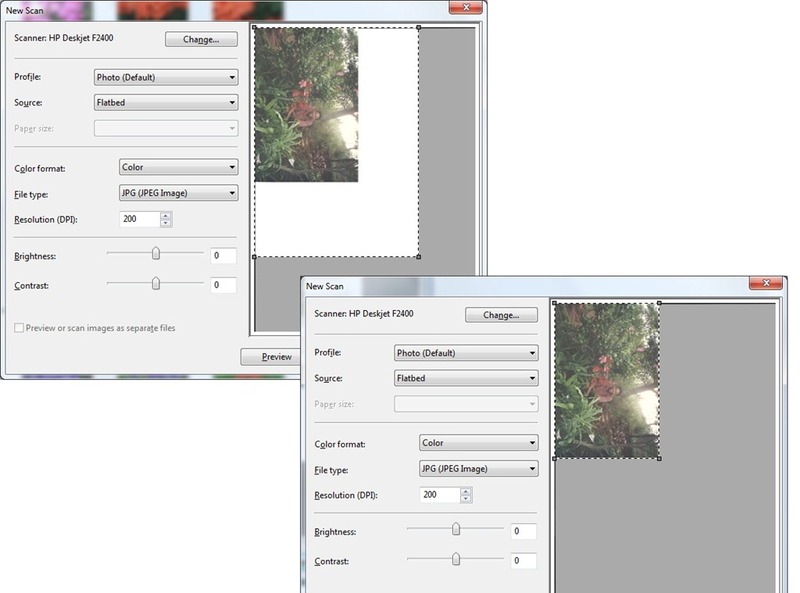 To Crop a Photo double click it then click the Crop button under the Adjustments group. You will notice a geometric frame appears on screen. Use the adjustment anchors to drag and adjust them outward until you achieve a satisfactory result or the white edges in my case are no longer apparent. Once this is done, click the pop out menu below the crop button on the adjustments group and click ‘Apply Crop’. 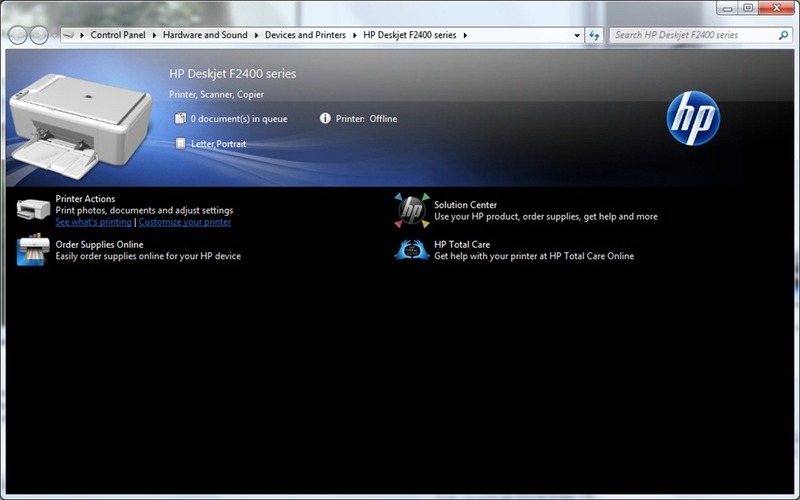 This is not a Photo Gallery review, but I just wanted to show you some of the tight, easy integration between the HP F2400 and Windows Live programs. I was curious to find out if there was any Device Stage support. Sure enough, there is, but the features offered are limited. If you don’t know about device stage, its really a way for manufacturers to offer unique content about their devices providing seamless integration with Windows 7. I have been using the HP F2480 just for a short time, but I am entirely impressed by its capabilities, documents print very fast and output for photos is high quality. Images scanned then printed are crisp and rich in color. You can make further adjustments in Photo Gallery to control contrast, brightness and other editing task and don’t forget you can scan at a higher DPI for the best quality. I like that HP has focused on integrating with Photo Gallery and extending its capabilities with tools to further enhance documents and photos. 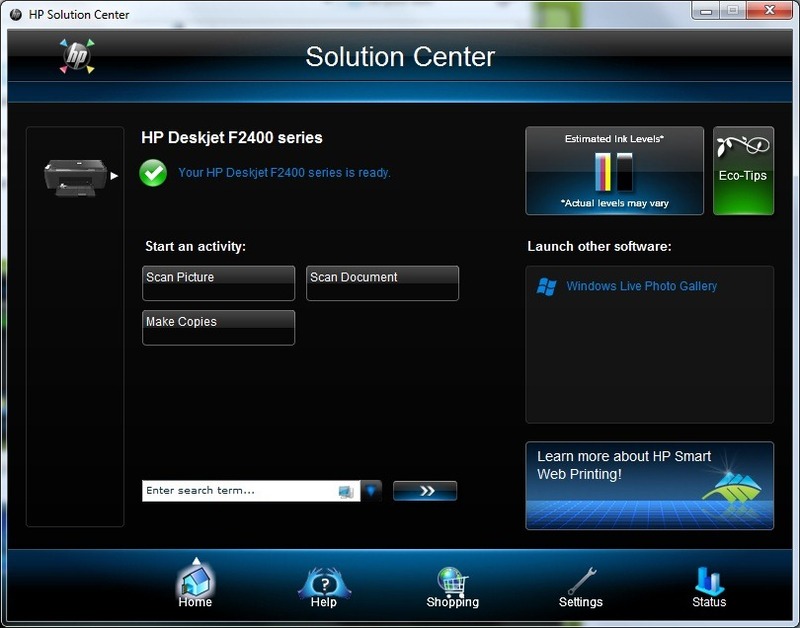 The HP Solutions Center is a great part of using the printer, you can quickly check ink levels, tinker with settings for both the scanner and printer. 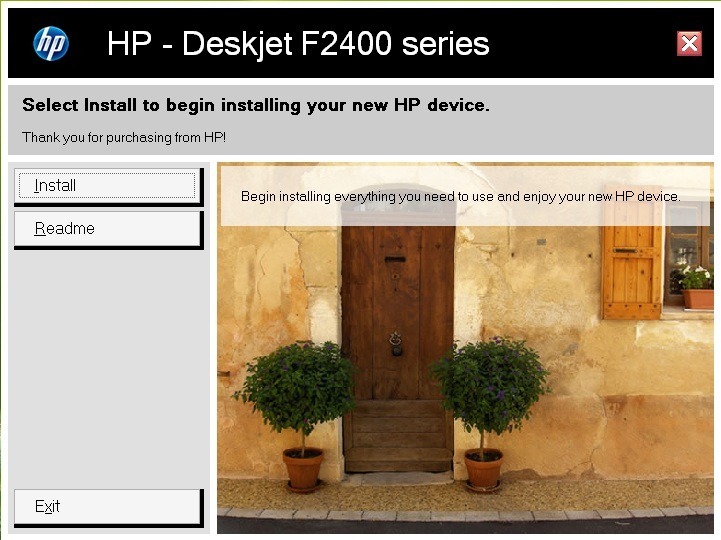 HP even makes it easy to order products for your printer such as ink cartridges. I have always been skeptical about All In One Print devices, but after using the HP F2480 I personally am looking into getting one of these. 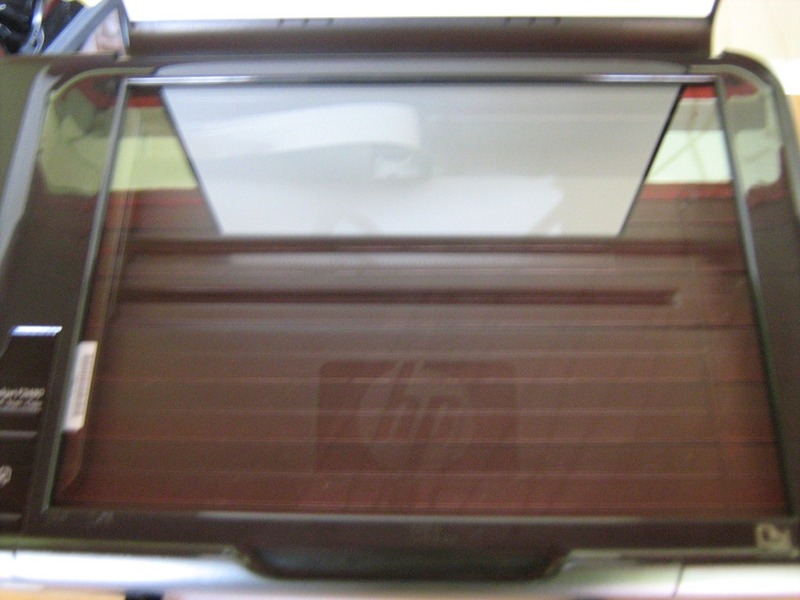 My HP Deskjet 840c has done its time. The scanner is one of the most attractive features of it, I have a lot of pictures that I want to preserve and this is a great solution for archiving digitally. Are there any low points? Yes, the software installation experience needs to be simpler, more cohesive, informative and take less time. Once you are over the installation/setup hurdle though, there is a great experience ahead. Windows 7 Home Premium Family Pack for 3 PC’s is Back! Starting October 3 in the U.S., Windows 7 Family Pack will be available for purchase at participating retailers and online at the Microsoft Store. Purchasing the Windows 7 Family Pack gives you three upgrade licenses of Windows 7 Home Premium for the low price of $149.99. 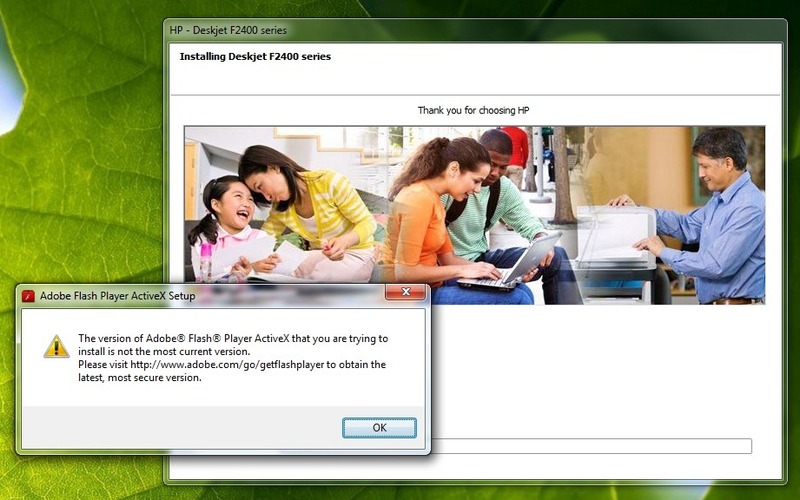 To take advantage of Family Pack, you’ll need a PC running a genuine copy of either Windows Vista or Windows XP that is capable of running Windows 7. The Windows 7 Upgrade Advisor can tell you which features and editions of Windows 7 will run on your computer(s). Microsoft introduced the Windows 7 Home Premium Family Pack Upgrade for 3 PC’s last year for a limited time while stock’s last. It was a major hit among consumers who wanted to upgrade multiple PC’s in their homes at an economically sound price. For months after it was discontinued, persons kept asking on the Microsoft Answer’s Forum, ‘How can I get it?’. Well, its here now, which makes it a great opportunity grab a license for those PC’s still running older versions of Windows. 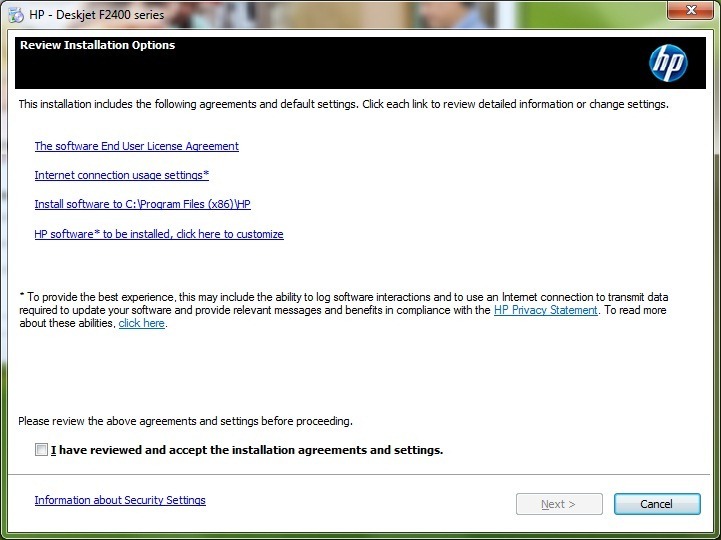 Users should note that Windows 7 Home Premium Premium Family Pack Upgrade for PC’s is an upgrade license. This means, you need to install it on a computer running a previous version of Windows such as Windows XP or Windows Vista and they must be activated. All three licenses must be installed within the same household. Its a great deal for an awesome OS!